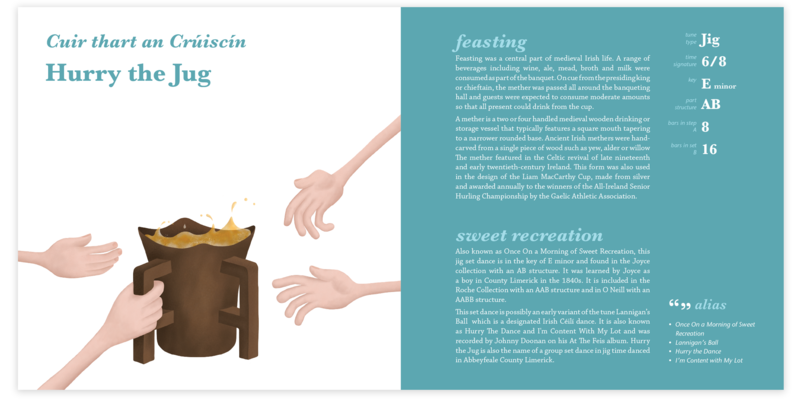 I'm working on an illustrated book, in conjunction with ethnochoreologist Dr Orfhlaith Ni Bhriain, which tells the stories of set dances within Ireland. We received Arts Council funding through the Deis Traditional Arts Awards. Coming soon! Set dances form a unique touch point between past and present, between traditional musician and dancer. In the dance realm, set dances are a living transmission of exact steps, danced to specific set dance tunes from the time of the dancing masters to the present. In the music realm, the very same tunes have been used by master musicians as show pieces, and they are rare within enduring tune types in that the relationship between dance and tune, musician and dancer has not been entirely lost. Each set dance has a history to it, be that a story surrounding its choreography by a dancing master, or the history of the origins of the tune itself. The set dances also feature titles that reflect the socio-economic conditions, the wars, the victors and losers of the time they originated. Through text, notation, illustration and graphic design, this project will gather a collection of some forty set dance tunes and give an account of how these came to the Irish dance tune and their associated steps to the Irish dance choreographic repertoires. Each set dance will have an accompanying text encompassing an aspect of origin, context or history. 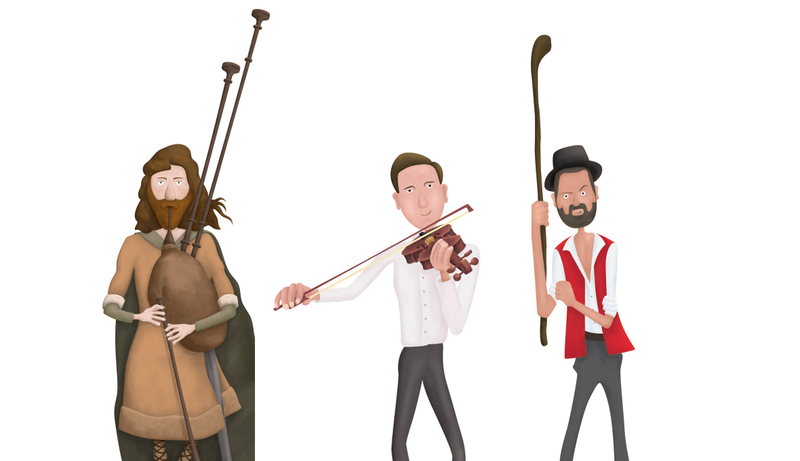 It will feature a transcription of the tune, notes on the dance choreography, plus illustrations and info-graphics to bring the story to life using visual metaphor.